Water – Nope. Don’t. Just enjoy it neat. There was something quite unique about this whisky. We began to speculate that perhaps it was finished in a white wine cask – perhaps muscatel or sauternes? Perhaps not a single malt at all? Some corn? With such a honey light colour it was hard to pin point. All we knew was it was quite unique with a very distinctive and interesting character. And the reveal? An aged Lowland grain! Wow! Filled to American White Oak our whisky’s soul is forged from wood & mellowed by time. Naturally golden amber in colour – this is Single Grain Whisky at its finest. Notes of honey, toffee, vanilla & caramelised fruits. It is, quite simply, Deliciously Different single grain whisky. 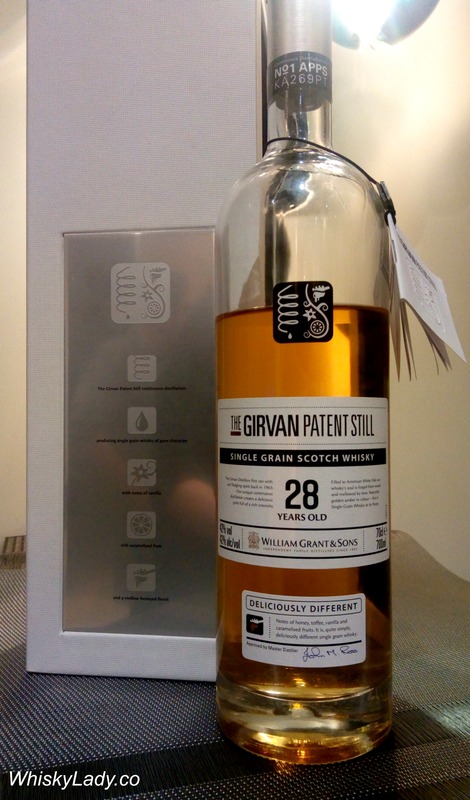 I suspect, but cannot confirm, this whisky was bought at Dubai’s Le Clos for $361. Bottom line, did we enjoy? Absolutely! It was a unique experience – both distinctive and memorable. 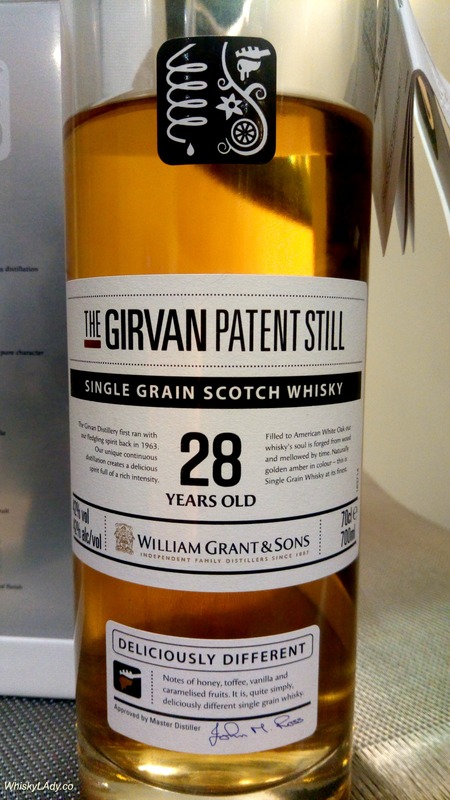 This entry was posted in Lowlands, Scotland and tagged Aged grain, Girvan 28 year, Grain, William Grant + Sons by Carissa Hickling. Bookmark the permalink.